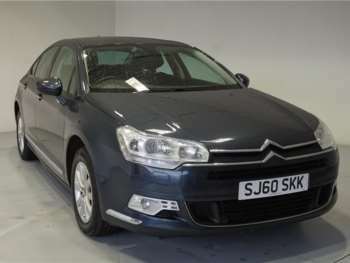 The Citroen C5 was introduced in 2001 and for many is seen as the first truly worthwhile used car from this French manufacturer from the point of view of long term value, because unlike some of its predecessors it is not hampered by serious depreciation issues. 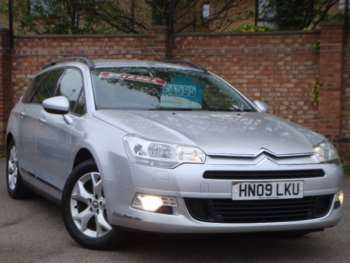 The used Citroen C5 was built to replace both the Xantia and XM ranges and does an admirable job of catering to both crowds. Trios of both petrol and diesel engines came with the first iteration, along with plenty of onboard technology that has only become better integrated and more impressive over the years. 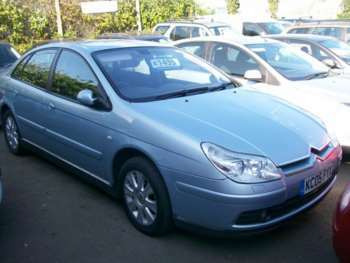 2004 saw the second hand Citroen C5 receive a bit of a facelift, along with the arrival of a bargain basement 1.6 litre diesel engine model. 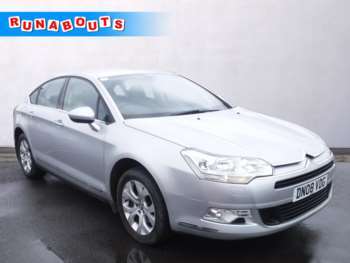 The most recent new Citroen C5 revision occurred in 2008 and this is considered to be its true second generation entry, with a real overhaul given to the styling of the range to make it even more handsome than before. 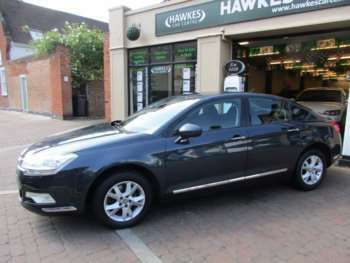 What really sets Citroen C5 cars for sale apart from its competitors is the Hydractive suspension which allows it to electronically adjust ride height to accommodate the speed and road conditions that are currently being experienced. This system, even in the early models, is considerably better than the mechanically adjusted alternative used in Citroen's older cars and means that it offers one of the smoothest rides on the market. While things are generally controlled by sensors, you do have manual control if you want to make more specific adjustments. 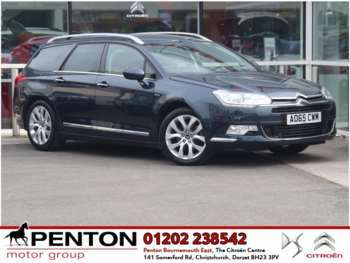 All of the used Citroen C5's iterations have benefitted from plenty of luggage room in the rear and the general quality of the interior is surprisingly high, with Citroen attempting to match up to the executive class models from German manufacturers in this respect. 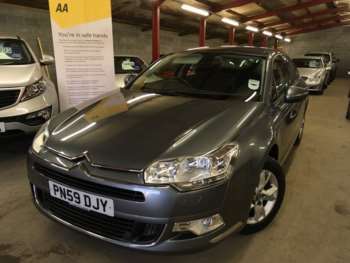 If you're looking for one of the post-2008 C5s then prices are surprisingly cheap, with petrol models being the most affordable if the least common at around £5500. 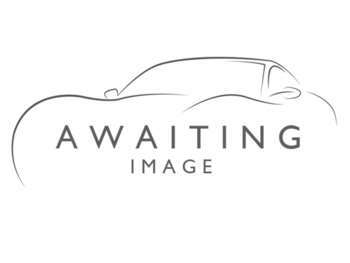 Diesels are a good bet in terms of performance and reliability, with saloon options starting at £8250 and estates increasing the asking price by roughly £1000 if you're happy with the basic 1.6 litre engine. The 2.0 litre alternative is about £600 more and even more power comes from the 2.2 litre option. Checking for a full service history is a must, because the nature of the unusual suspension means that you will want to make sure everything is in full working order before you buy. You'll snap up brake pads for £45 each and pay £205 or so for a clutch assembly for the used Citroen C5. Headlamps start at £220 and if you need to replace the starter motor then £110 will get you this particular part. 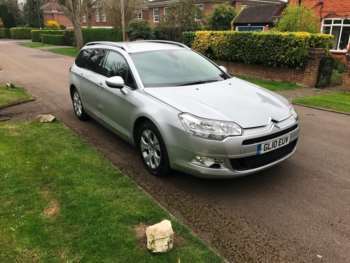 The Citroen C5 makes absolute mincemeat of speed bumps and potholes and it's virtually impossible to find any other car from any rival manufacturer that can match it when you have to tackle rough surfaces. You might assume that this means it will wallow in the corners, but Citroen's systems help to keep everything balanced and the car manages to remain flat all the way through the turn, which can be an odd sensation. Aside from comfort, the C5 offers a decent driving experience without blowing you away, emphasising efficiency. 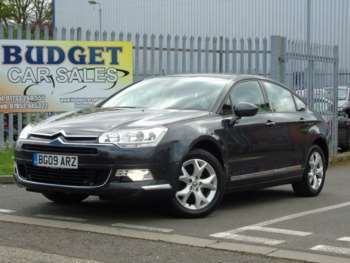 Got a specific Citroen C5 model in mind?